I requested a trip to Medicine Lodge Creek State Park to listen to Dr. Larry Lowendorf, a phenomenal expert on petroglyphs and pictographs. In the Before Time, I wrote a research paper on petroglyphs and pictographs, and they’ve always captured my imagination. 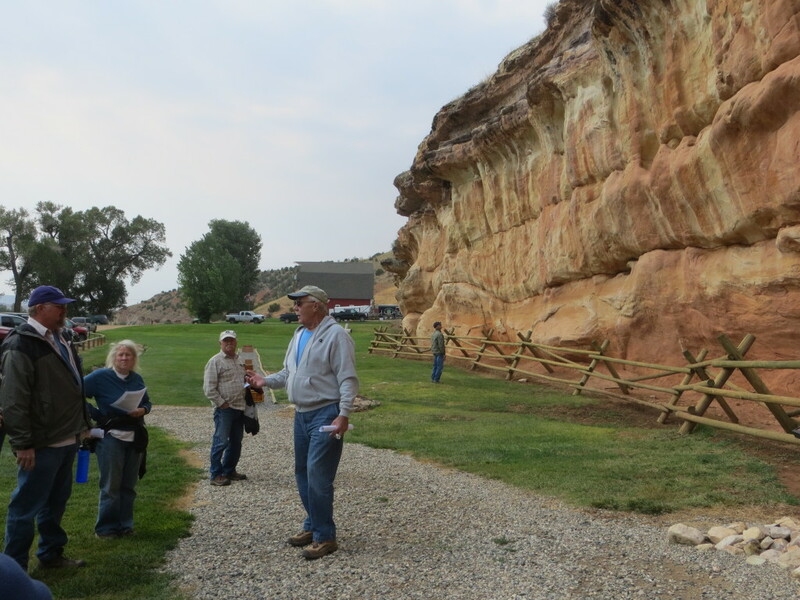 Dr. Lowendorf has written multiple books and papers on this topic, traveling around the country, spending a fair amount of time in the Big Horn Basin. I’ve tried to catch up to him and always just missed him… until today! Lunch in Ten Sleep, then it was home for an hour and a change into better clothes… for a wedding! We won’t forget A and B’s wedding day since we will now share an anniversary day! It was up on the mountain where it was Windy and COOL… Brandon was an usher, Quinlan was the ring bearer… I may have a cute photo or two… More tomorrow! 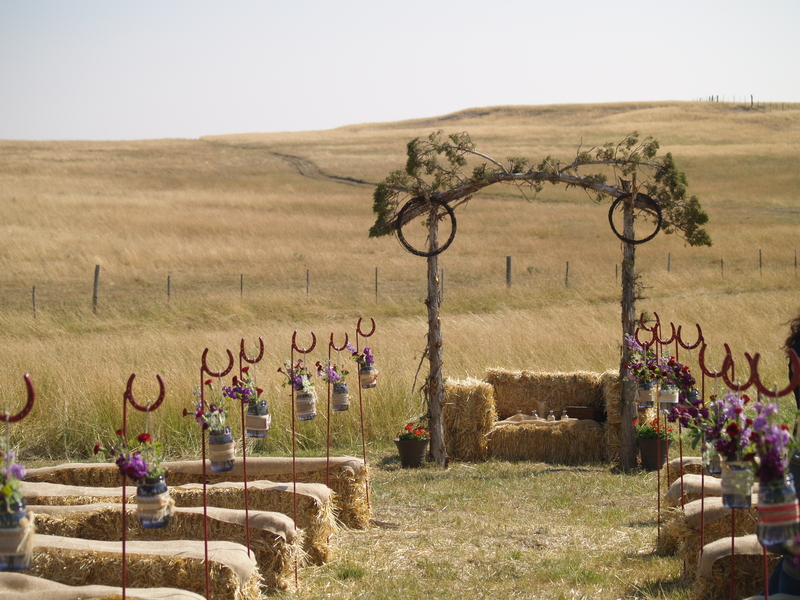 Isn’t this just the simplest and yet, gorgeous setting? Wonderful pictures! Bob and I need to be remarried in that exact spot where the straw bale altar and seating is. Perfect. Like hearing about your Before Time…..coincides with my In Another Lifetime(s) adventures. Happy Anniversary to both of you! Many more! What a gorgeous way to have an outdoor wedding – that sort of setting is stunning! I feel special having met two wonderful people who God choose to entwine. Thank You, we’re tough and with God’s grace on us, we will make it through. Happy Anniversary to you both. The wedding set up is so beautiful. Simple is so often the best. Happy anniversary to you and Vernon. Happy ever aftering!